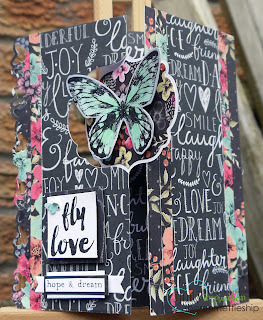 Hi there and today it's my turn , Sharon , to show you one of my projects using this month's KOTM. It's called never be afraid and you can find it here in the Unity online store. 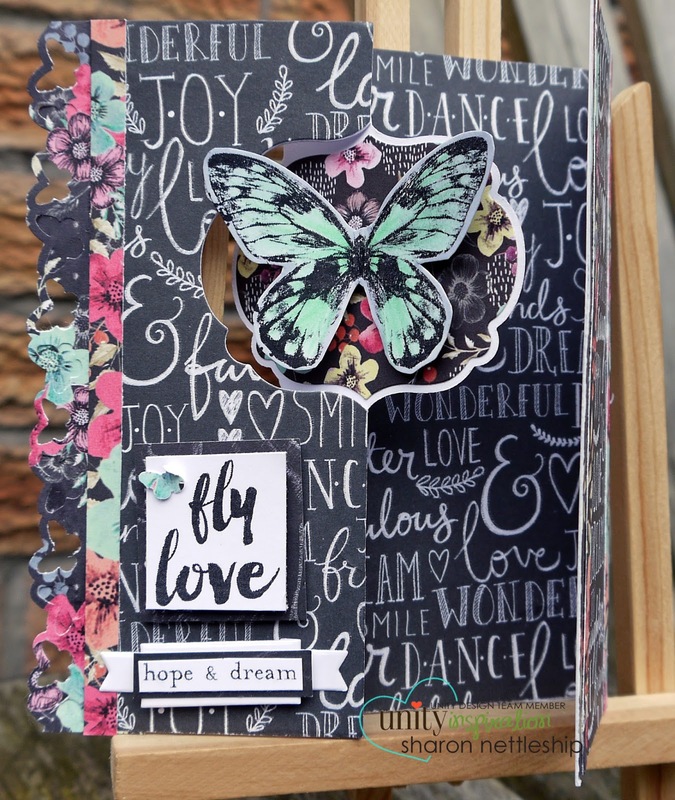 All details on how to join the monthly kits can be found in the membership drop down box in the store. So onto my project . I've made a label card, something just a little different. Here's a closed front view. And here it is slightly open. 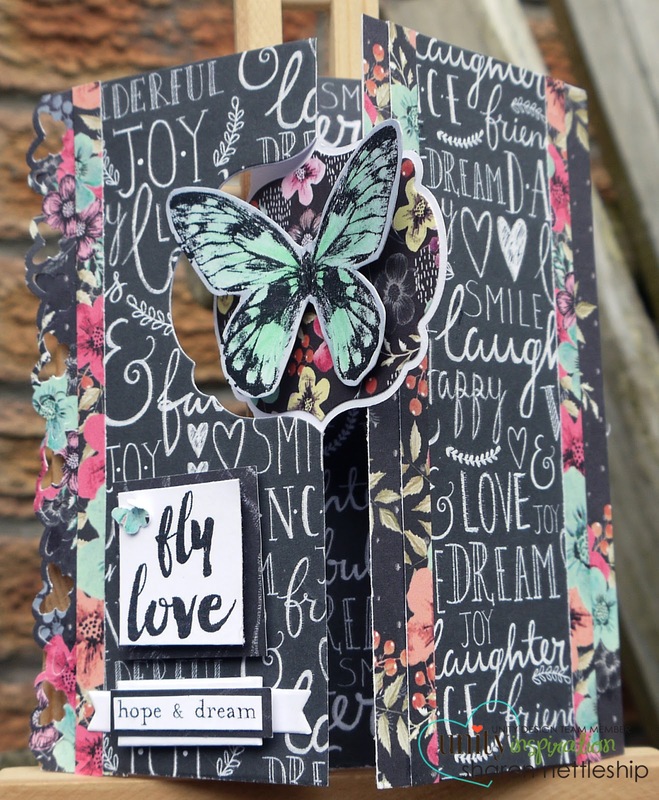 I've used the butterfly, which I coloured with Copics and cut around leaving a small edge. 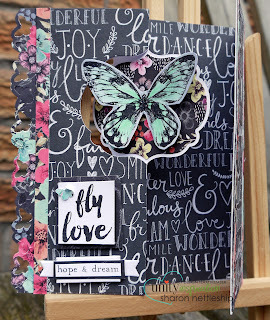 I've also used the sentiment " fly love, hope & dream". It's another gorgeous kit and with Autumn/Fall coming it's ideal with the leaves, tree and sunflowers.